Are you looking for an alternative way to deep frying? How about trying Air frying? It is certainly healthier as you use the rapid air technology to make your food to make it crunchy on the outside and tender on the inside. Cooking meals with up to 80% less fat then a conventional fryer it makes whipping up tasty meals a breeze. There is no need for smelly kitchens and messy clean up with an Air fryer. The gadget is easy to clean, safe and economical for daily use making it really suitable for my two little junior chefs to operate. Available in black or white this nifty kitchen gadget is capable of the following. – It has a touch sensitive full digital timer and control screen. Doesn’t it look neat? There is no need for so many different kitchen gadgets which will clutter up your counter top. This is certainly a PLUS in our modern homes where space is a constrain. At $539 b/f discount it is certainly a gadget which one should consider getting for the kitchen. The kids were really excited to try out this new kitchen gadget and decided to make some carrot chips with the Airfryer as we had lots of carrots in the fridge that day. 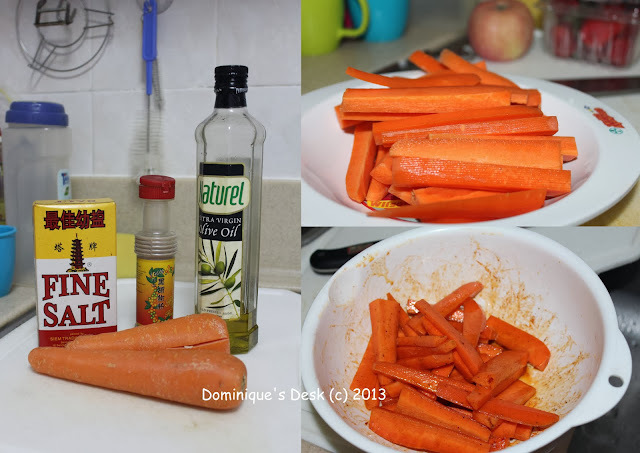 4) place the marinated carrot strips in the Airfryer at 200 degrees for 15 minutes. Here is how the chips turned out after baking it. I placed a sheet of baking paper under the carrot strips to prevent the marinate from flowing from the basket to the bottom of the drawer during the cooking process. This makes it easier to clean up after cooking. Yummy , yummy chips which tastes as good as those made out of potato. The kids cleared the plate within minutes!! If you are thinking of what to cook with an Air fryer don’t fret. The Air fryer comes with a really neat international recipe book which has a wide selection of recipes from culinary experts which showcase the versatility of the appliance so that you can grill, bake and even roast food more healthily, quickly and conveniently. Just for the Singapore readers of my blog! Cook with Air today! 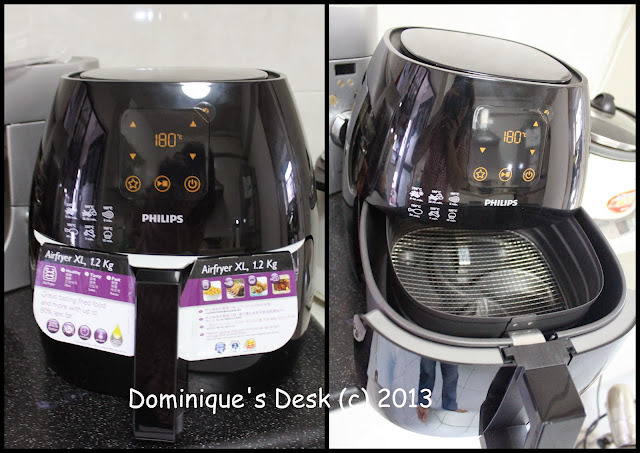 Quote [Dominique’s Desk] and buy Viva Digital Airfryer at $399 + $50 shopping voucher (Usual price: $459) and Avance XL Airfryer at $479 + $50 shopping voucher (Usual price: $539) at the PHILIPS EXPERIENCE SHOWROOM. Disclosure: All opinions are 100% my own.This post has a compensation level of 13. For more information visit our disclosure page. The kids love drinking soup and smoothies. I am always on a look out for new recipes to try out at home from the recipe books which I have in my cupboard. With a Philips Jamie Oliver blender it has made making the kid’s favourite soup and smoothie a breeze. – sea salt and freshly grounded black pepper. After the vegetables are tendered you just need to pour it into the Jamie Oliver blender to blend. The ultra sharp titanium serrated blade took only about 5 minutes to fully blend the soup in the 2 litre glass jar. 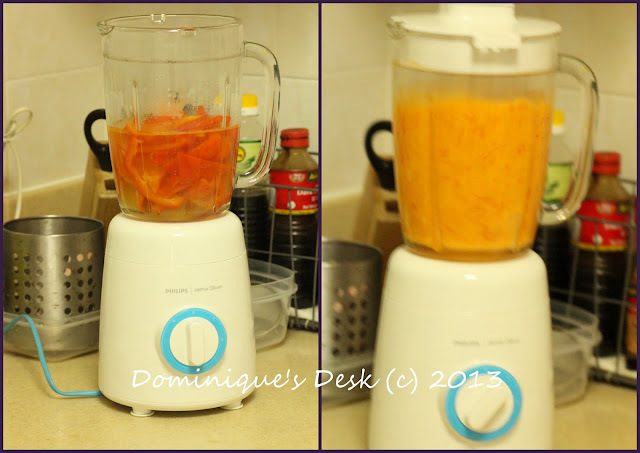 I love the big capacity of this blender as I only need to blend the soup once and there is enough to serve the 5 of us. 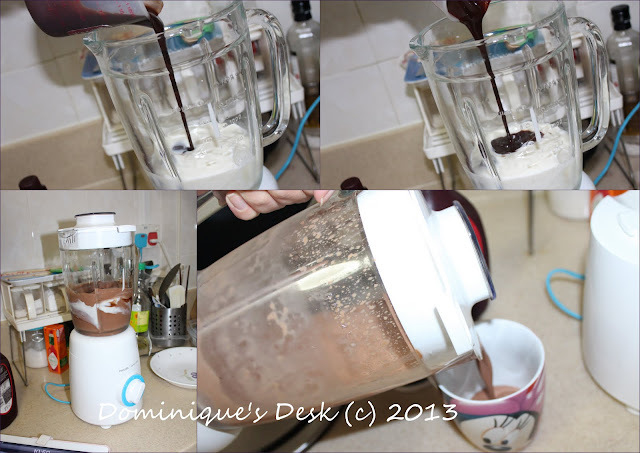 With the time saved from blending the soup we had time to make the kids some chocolate smoothie. It only took 5 minutes and only 3 ingredients are needed- chocolate sauce, yoghurt and ice. It is really easy to blend up a healthy soup and tasty drink for the kids with the Philips Jamie Oliver blender. It’s a tool which I certainly recommend for all kitchens. Keep life simple with the PHILIPS | Jamie Oliver range which includes a food processor (S$268), blender (S$128) and handblender (S$108). Available at leading electronics and departmental stores.